You cannot add "2018 Bowman Draft Baseball Jumbo Case Random Teams #14" to the cart because the product is out of stock. 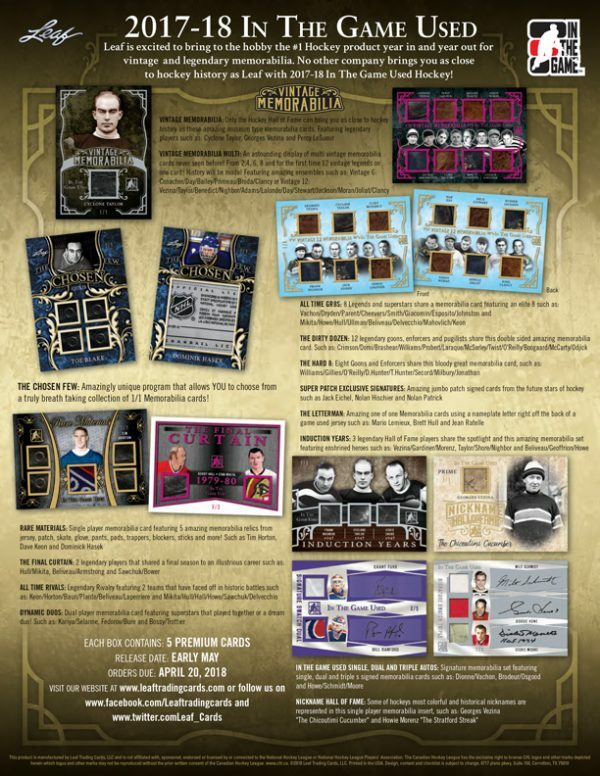 Leaf is excited to bring to the hobby the #1 hockey product year in and year out for vintage and legendary memorabilia. No other company brings you as close to hockey history as Leaf with 2017-18 In The Game Used Hockey! 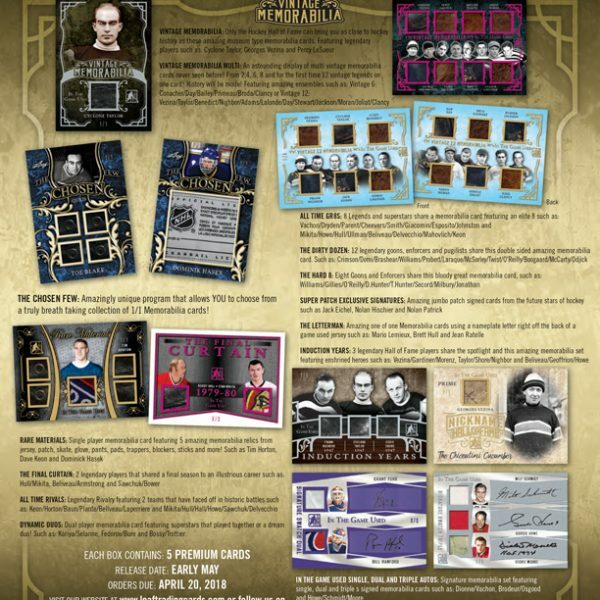 Vintage Memorabilia – Only the hockey Hall of Fame can bring you as close to hockey history as these amazing museum type memorabilia cards. Featuring players such as: Cyclone Taylor, Georges Vezina and Percy LeSueur. 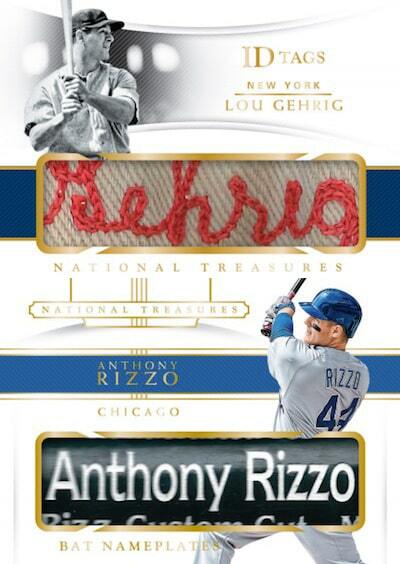 Vintage Memorabilia Multi – An astounding display of multi vintage memorabilia cards never seen before! From 2, 4, 6, 8 and for the first time 12 vintage legends on one card! History will be made! Featuring amazing ensembles such as: Vintage 6: Conacher/Day/Bailey/Primeau/Broda/Clancy or Vintage 12: Vezina/Taylor/Benedict/Nighbor/Adams/Lalonde/Day/Stewart/Jackson/Moran/Joliat/Clancy. 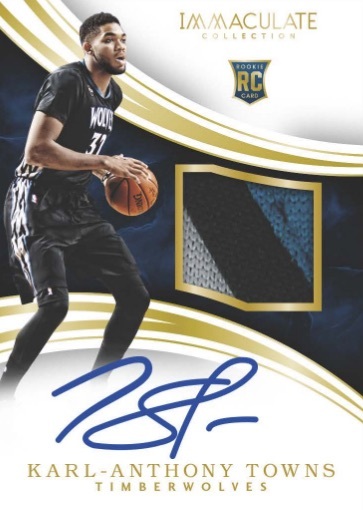 The Chosen Few – Amazingly unique program that allows YOU to choose from a truly breath taking collection of 1/1 memorabilia cards!